Are you ready to create a fun Valentine that’s quick and has lots of potential? 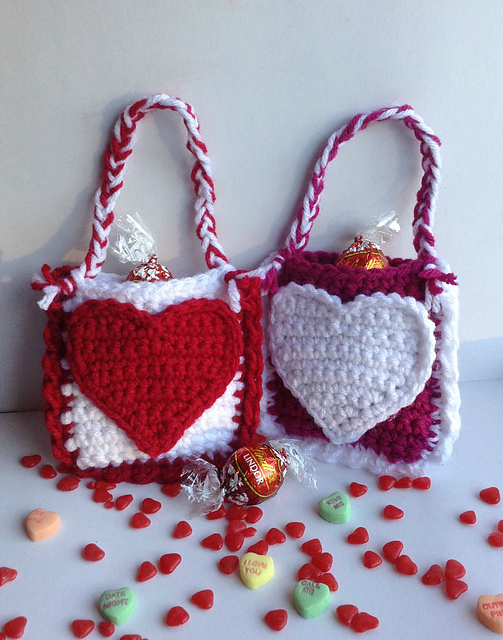 These Valentine’s Day Treat Bags by Sonya Blackstone are absolutely adorable and a great way to use bits of yarn in so many colors. 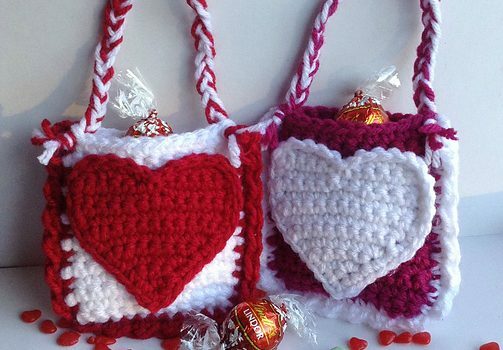 This quick and easy fun crochet gift idea makes the perfect neighbor gifts and it’s also perfect for teachers, family and friends and kids. The hearts on the front are a wide open canvas to add your own personal touch with fabric paint, patches, surface crochet, or whatever your heart desires. Cutest Valentine Gift Bag Ever! Thanks to Sonya Blackstone for the article inspiration and featured image!